Creator of Robertsons Golden Shred in their shop in Causeyside Street Paisley. The “Golly” became their trademark. Paisley born James Robertson was founder of Robertson’s, producers of the world famous ‘Golden Shred’ marmalade and other jams and preserves.James Robertson’s working life began in the Paisley thread mills, but prospects were not encouraging for an ambitious young man like James. He became apprenticed to a local grocer hoping this would give him a better future and in 1859, now married to Marion McFadyen, he started up in business as a grocer at 86 Causeyside Street in Paisley. As popularity of Robertson’s marmalade grew, manufacturing had to be moved to a small factory in Thrushcraigs in the south of Paisley. Within two years the factory was relocated to bigger premises, this time at Stevenson Street a short distance from the original grocer’s shop in Causeyside. 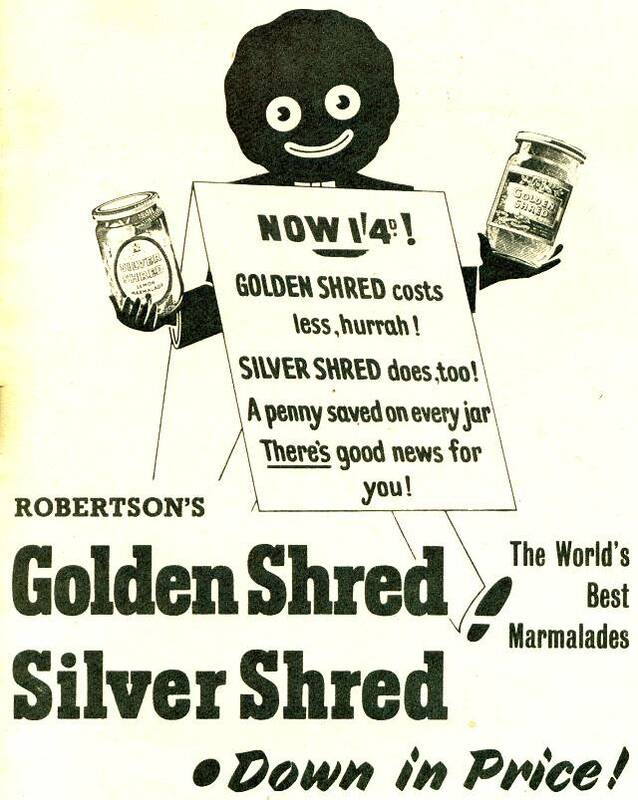 In 1886 James Robertson registered his trade name of ‘Golden Shred’. As demand for Golden Shred marmalade and Robertson’s jams and jellies continued to grow, two more factories were established in Manchester and London. Around the period 1908-9, James Robertson’s son, John, was visiting the USA spreading the appeal of Robertson’s jams and marmalades. During his visit he came across the ‘Golly’, a popular children’s toy at the time, and from 1910 the Golly symbol began to appear on jars and advertising. The Golly became the symbol of Robertson’s products as well as featuring in badges and porcelain figures which were redeemed with proof of purchase.